Former World and Olympic champion Nicole Cooke has officially announced her retirement from professional cycling. The 29-year-old Welshwoman issued a statement in which she points the finger at the drug cheats that plague the sport, as well as the International Cycling Union International Cycling Union (UCI), which she feels has failed the women’s side of the sport. “I am very happy with my career. I have many, many happy memories over what has been my life’s work since I was 12,” reads Cooke’s statement. Cooke won the World junior road race championship in 2000, in Plouay, France, then became the the first rider ever to successfully defend her title the following year in Lisbon, Portugal. She also won the time trial that year, to add to the mountainbike title that she already held. The Welsh rider won the first of her ten British national titles in 1999, aged just 16, and then went on to take nine straight victories - making the red, white and blue jersey her own, between 2001 and 2009. Despite being the number one rider in the World for several years, Cooke was continually thwarted at the World championships, largely due to a lack of a quality team around her; finally things came together in 2008, however, when she took Olympic gold in Beijing, China, and followed it up with her first senior rainbow jersey in Varese, Italy. Victories have been few and far between since that time however, with just one in each of the 2011 and 2012 seasons. On her retirement, Cooke points the finger very squarely at dopers for both denying her, and other clean riders, the results that they deserve, as well as driving money away from the sport. “I am so very fortunate to have been able to have won clean,” she said. “I have been robbed by drug cheats, but I am fortunate, I am here before you with more in my basket that the 12 year old dreamed of. “But for many genuine people out there who do ride clean, people with morals, many of these people have had to leave the sport with nothing after a lifetime of hard work. “When Lance cries on Oprah later this week and she passes him a tissue, spare a thought for all of those genuine people who walked away with no reward. Turning professional for Deia-Pragma-Colnago in 2002 at the age of 18, Cooke won her very first race at the Trofeo Citta di Rosignano in March. According to the BBC, Cooke claims she was offered doping products by the team during her first appearance at the Tour Feminin, but the staunchly outspoken anti-doper refused all “medicines” for her entire career. "I was invited into a team camper and asked what "medicines" I would like to take to help me and was reminded that the team had certain expectations of me during the race and I was not living up to them with my performance over the last couple of stages,” she said. "I said I would do my best until I had to drop out of the race, but I was not taking anything." 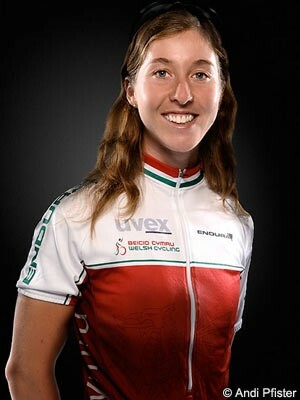 Two years later Cooke won the Giro Donne - becoming, at just 21, the youngest rider ever to do so - and in 2007 she won the Tour, which was then known as la Grande Boucle Féminine. That race has since disappeared, and France no longer has a national Tour, while the Giro Donne’s existence is also threatened. Cooke also points the finger at the UCI for allowing the women’s sport to decline as it concentrated on the dopers in the men’s sport. “Whilst the UCI have been so engrossed trying to find receipts for the equipment they bought after Lance made donations to them, and suing Floyd Landis after he blew the whistle, and hold press conferences calling Landis a liar,” she said. Although Cooke’s career has not been what it was in recent years, her legacy is the British team that she leaves behind on her retirement. From being the only truly World-class British rider for many years, the Welsh Wonder’s biggest achievement in 2012 was arguably the part she played in winning an Olympic silver medal for Lizzie Armitstead in London. “My time in the sport has finished,” Cooke’s statement concluded. “I hope I will look on in 10 years’ time and see a vibrant and healthy women’s road scene. Thank you all for coming here today to be with me and hear what I am going to say. I am here to announce my retirement and in one sense that is a simple thing to say and a simple story, but given that the sport I have given my life to has become more ‘fantastic’ than any soap opera and it has just given witness to the greatest ever sporting fraud, about which we get new and wider revelations each day, I thought it appropriate to share with you some of my experiences and, importantly some ideas for the future. And, understanding that for the duration of my career the sport has been through the darkest years, I want to both reflect and look ahead. I hope that in some small way, my experiences can help. I am very happy with my career. I have many, many happy memories over what has been my life's work since I was 12. I am now 29 so that is 17 years of my life that I have enjoyed and now I am bringing to a close. I have won every race and more that I dreamed I could win. As a little girl of 12, after beating all the boys at the Welsh cyclo cross championships, I stood in front of the TV cameras and stated to the BBC reporter -- when asked the question -- what would you like do in cycling -- I answered "I want to win the Tour de France and win the Olympic Road Race"
At 12 I dreamed like every child. I hoped that some of my dreams could come true. You cannot imagine how happy I am to be here with you now, with my dreams fulfilled. I am very happy. There were no British Championship events for Girls. My father and I worked very hard with British Cycling, formerly the British Cycling Federation (BCF). We strived to convince them to hold events for girls and to provide the necessary support to help them progress. We had to do a great deal in so many ways. Cycling was, and continues to be, a male dominated sport and “equality” from many points of view still has a very long way to go. One of the turning points was at the British grass track championships. It was the 800m British Championships for Women and Victoria Pendleton took part, indeed her father helped to organize it. There were no Youth (under 16) or Junior (under 18) races and, being only 14 at the time, I was not allowed to compete with the Women. Furthermore, I was expressly forbidden, by the BCF from riding in the senior women’s Championship event. I had received a 3 page letter telling me all the reasons why I could not compete! However, there was a non-championship open event called an “omnium” which included an 800m handicap on the same day, which I was allowed to ride. The handicapper knew that the BCF had officially instructed the organisers to stop me riding the women’s championships because I was too young, and decided to intervene and allow history to run its course. I was put off on scratch with Helen, while all the other riders, started in front of us. Showdown time! This was typical of many episodes with the BCF in that it must have been embarrassing for the officials. My father wrote to the official who had ruled I could not ride and asked for Championships to be established for girls. The result was that the following year, The BCF put on a superb set of British track championships. The Federation spoiled us with jerseys, bouquets and medals just like the boys, senior men and senior women. The BCF could not have done a better job in response to that embarrassment. Success. The same goes for Road Racing. When I started, the only 2 or 3 races per year available locally for under 16s, would feature myself as the only girl, my younger brother and about 3 others. I have the most vivid memory of 5 of us competing in a race in a howling gale and rain on Aberavon beachfront up and down between some cones. My brother was 11 and about ½ the size of the 6 foot 16 year old who won. This example highlights the immense efforts of the people who put it on, despite the circumstances and sorry state of cycling in Britain at the time. There are many good folk in the cycling community who go to immense efforts to do their very best. In that case it was Louise and Phil Jones, absolute stalwarts of the cycling community. Again the BCF and the lottery funded coaching structure was embarrassed that I won and beat the funded riders on their expensive equipment and resources, on my cheap bike. They had a British Cycling Team car and back up. I had dad on his bike with a saddlebag of energy bars and drinks to hand out!! What they did not know was that in the weeks before, I had spent the summer riding over the Grand Cols, including over the highest road ever taken by the Tour - the Cime de La Bonnette at over 2700m. I had ridden over this with mum, dad and my brother. I had put the hard work in and in my World, hard work counts for an awful lot. I cannot help but think that, as a consequence of my letters the year before, and win that year; a Youth Circuit Race and a Junior category Road Race Championship and Series were put in place for female riders by the BCF. Again they could not have done a better job. They stepped up to solving the problem I brought to light in a magnificent way. Now I can attend local youth age events and see 45 riders, all locally based and there are 18 or so girls competing in their own race. This is a huge movement. I know Brad Wiggins and Mark Cavendish who have followed me onto the continent have rightly had lots of publicity for their successes and that has done an awful lot for the participation in cycling of both sexes. However, previously, there were no events put on by the BCF for girls and no support for girls. That all changed following my success as a Youth in the British Senior Championships. Now the likes of Dani King and Laura Trott have a shop window to display their exceptional talents. There is an infrastructure that supports them and nurtures their talent. I am just as proud of my part in bringing about those permanent changes as I am of being the first ever British winner of the Olympic Road Race or a major tour. I left school. There was no UK Lottery funding available to me. The 12 year old inside me with a dream of riding the Tour de France and collecting a few tee-shirts, knew exactly what I had to do I had to get across to the continent and join a team. Going there was great. It was one of my dreams coming true for me. Women's Road cycling was huge at that time; both the women's Tour de France and Giro (Tour of Italy) were 2 week events and looking like they would expand to 3 weeks to match the stage races for men. The World Cup visited more parts of the World than the men's and had 160 rider fields and I was now going to be part of it. I feel really privileged. I have not had to work, I have been able to travel the World and do something that really excites me and gives me great pleasure. That I was able to satisfy that inner 12 year old’s desire for collecting coloured clothes was another delight! I have ridden professionally on the Road from 2002 to 2012. Those 11 years of my adult life I have given to the sport have been the very best I could give. It has been an incredibly turbulent time for the sport and it has not come out of it well. So many competitors have abused the sport by taking performance enhancing drugs and generated a travesty. After the Festina tour in 1998 it was obvious to everyone who followed the sport that drugs were endemic. Like many, I hoped I could win races clean and that things would improve in that dark world as my career progressed. We were all told in 1999 that testing was now improved and the show had been cleaned up. After all we now had a new, brighter than bright, clean tour Champion in Lance. At 18, in my first team house I did not have long to wait before encountering suspicious circumstances. In the fridge were various bottles and vials with diaphragms on top for extracting the contents via syringes. I rang dad and asked what I should do. We chatted it through and came to the conclusion that even condoning the presence of 'medicines' in the house I was staying, could lead to pressure being put on me, or in the worst case, if there was a raid on the house, it was highly unlikely that any of the "professionals " I was sharing the house with were going to say "it's a fair cop guv, That gear is all mine." Rather a finger would be pointed at the Brit who could barely speak Italian and somebody would say, "All these bottles – every one of them are hers ---- my mates and I tried to stop her but she just keeps doping every day". So, I emptied the fridge and put the lot out in the front garden and told the team manager to deal with it, either it went or I went. It went. asked what "medicines" I would like to take to help me, and was reminded that the team had certain expectations of me during the race and I was not living up to them with my performance over the last couple of stages. I said I would do my best until I had to drop out of the race, but I was not taking anything. Pressure was put on me by the team management but I was determined, and fortunate. I had a very good French team-mate who was in a similar predicament and she took the same stance I did. Team-mates that say "NO" are priceless. I would have been very naive to think that I would not encounter moments, like this. I am appalled that so many men bleat on about the fact that the pressures were too great. Too great for what? This is not doing 71 mph on the motorway when the legal limit is 70. This is stealing somebody else’s livelihood. It is theft just as much as putting your hand in a purse or wallet and taking money is theft. Theft has gone on since the dawn of time but because somebody, somewhere else, does it, does not mean it is right for you to do it. There can be no excuse. In all this furore, the women's scene has been hit twice. Every scandal on the men's side has caused sponsors to leave on the Women's side. And with such thin budgets, the losses have a greater relative impact on what survives. In areas where there was unique female development and growth, such as in Canada, which hosted a major Tour, a World Cup and the World Championships, all geared to supporting their number one rider - Genvieve Jeanson, there has been calamity. Perhaps Jeanson will not be a name familiar to you. She was the Canadian superstar, a national icon. She never tested positive. She missed a drugs test when she beat me and received a meaningless fine as a consequence. She exceeded the 50% Heamatocrit level and the authorities acted in line with their legislation and imposed a “health rest” on her. Second fiddle to Jeanson during this time in Canada was a rider with morals called Lyne Bessette. Nobody can give back to Lyne Bessette or I the wins Jeanson stole from us. Throughout her career Jeanson repeatedly lied, just like Lance and yet now, she confesses that she had been on an extensive doping program since she was 16. The full story only came out, via quality investigative journalism. Jeanson states, like all the others, she is “repentant” and all that is behind her. All these "born again" champions of a clean sport. They could be more accurately described as criminals who stole other's livelihoods who are only ever genuinely sorry about one thing - they are very sorry they were caught. I can’t help thinking that the cheats win on the way up and the way down. It is obvious that this issue is wider than the remit of the sporting governing bodies. It is no modest “sporting fraud”. Wider society has to act. I have ridden through some of the darkest days of the sport in terms of corruption by the cheats and liars. I cannot change the era or time that I am born into. I am very proud that I have met the temptations head on and have not wavered in my honesty or sold my ideals. I have always ridden true to myself and placed my morals beyond a need to win. I have ridden clean throughout my career. In a sport so tainted, this has generated many negative consequences. From the single example above; my team-mate and myself not getting paid for the rest of the year, after the Tour de France, being simple evidence. I am so very fortunate to have been able to have won clean. Perhaps a major factor is that the races are short – only 3 hours long! This is perhaps a hard and unpopular fact that the male side may need to embrace if it is genuine about wanting to clean itself up. I have been robbed by drug cheats, but I am fortunate, I am here before you with more in my basket than the 12 year old dreamed of. But for many genuine people out there who do ride clean; people with morals, many of these people have had to leave the sport with nothing after a lifetime of hard work - some going through horrific financial turmoil. When Lance “cries” on Oprah later this week and she passes him a tissue, spare a thought for all of those genuine people who walked away with no reward – just shattered dreams. Each one of them is worth a thousand Lances. Whilst the UCI have spent the past 10 years trying to defend the indefensible Armstrong position, with time wasting actions such as suing Paul Kimage for liable after Kimage dared to bring their "good name" into disrepute; whilst they have been so engrossed trying to find receipts for the equipment they bought after Lance made donations to them and suing Floyd Landis after he blew the whistle and holding press conferences calling Landis a liar; Whilst they have been so busy with all these "priorities", the women's road sport, that looked so promising in 2002 when I turned professional, has crumbled. There are so many ways in which the UCI could support the sport for women, but instead they have acted, regardless of their intent, in a way that has caused the sport to lose events. Gone are the women's Milan San Remo, the Amstel Gold Race, Tour de L'Aude, Tour Midi Pyrenees, and Tour Castel de Leon. No HP tour in America. No Tours in Australia, New Zealand or Canada. Instead of a 2 week Tour de France we have nothing. Today, in January, the major race in the women’s calendar this year, the one from which I have the pink tee-shirt, has no organizer and no route. With sponsors and support lost, the riders in the sport are exposed and vulnerable in so many ways. Many riders receive just token reward or rewards paid out in a capricious and unfair way. Some receive nothing. Then for those of us fortunate to be towards the top of the spectrum, those with a contract - too often, that piece of paper given to us is a joke. In 11 years of professional riding I have had to take 4 teams to court to achieve settlement against a straight forward contract to get my wages owed to me. I have won every time, but this is incredibly abrasive and exhausting in so many ways. This year, as I prepared for the defence of my Olympic title, I received no wages after March. The manager of the team boasted to the girls that he was not going to pay us and that he would employ the very best Italian lawyers to prevent us being paid! He stated that next year – he would have his team riders chase us down in every race. Yes, there is a taboo about revealing what really goes on. Riders move teams. Teams find new riders trying to make a start in cycling with no idea of what is out there or what tricks the managers can get up to. Tales go round that certain riders are "difficult". I certainly was. The stories are invented. Riders are labeled as uncooperative, selfish, not team players – it must be the case, rider A has been in the sport 4 years and has moved teams each year. Novices and those new to the sport are encouraged to ride against certain riders. At the end of this season I visited my erstwhile Mexican team-mate, Giuse who left Europe half way through the season because her wages had not been paid. She has a daughter. How is she meant to pay for food for herself and her girl? required for all male professionals, female riders do not deserve this. Only as recently as this October the commission rejected this simple request. There are two aspects of this case. One is straightforward and moral. Society cannot continue to leave all those girls in so vulnerable a position. A simple bar placed at the entry point for the sport would dispel all manner of problems. Are these girls that race for a living an underclass? They are somehow a sub-race not worthy of the most basic protection we afford the rest of our citizens in whatever employment they find themselves. Please understand, this is not about money, the main driver is the protection that will come from the placement of an absolute starting point for payment. The second factor is the one that demolishes the argument that it is sport; surely they are doing it for fun? Well what makes it different for men then? Why is there a minimum wage put in place for male riders? It protects them from being taken advantage of. Why are women not worthy of that same protection? Women’s cycling has declined through each year of my career. It is not a sustainable business model. Yes new races have been added to the calendar but loss exceeds growth. Look at the Giro – whilst team Sky plot their team for both the Tour and the Giro, the girls don’t even know what part of Italy the race will take place in! This is not a time for “tweaking” or “minor correction”. Whilst so much time, energy and resource has been spent defending and analyzing the indefensible, from a woman’s perspective, Rome has quietly burned down. Radical and significant change is needed and the enforcement of a minimum wage is the foundation stone. I know teams will go out of existence as a result. The first hand experiences of many of those people I value and respect, along with my own experiences, mean that the loss of many of these teams will not be mourned. There will be then proper reward and proper cognizance of those that try and do it right. The good teams left will rightly be celebrated. And that is how it should be. So, my roller coaster of a cycling career has come to an end. I have worked very, very hard, putting in many, many thousands of miles in all kinds of weathers. I have had many head winds from many places that you would not expect. But I have an awful lot of people around me who supported me through thick and thin. Many have helped me but a few special names are Andy Walser, Rod Jaques, Chris Price and the surgeon Jonathon Webb who operated on my knees. Also, from the early days, Ron Dowling, Brian Rourke and Cliff Poulton, and two no longer with us - Geoff Greenfield and Walter Rixon. I have enjoyed the adrenaline of competition, that feeling of fear going in to the closing stages of races, never giving up and getting every last bit of energy out before the finish line. I have loved the thrill of the tactics and cunning unfolding on the road and the elation of winning. I have had great battles with many different riders over the years and I also look fondly on the races I did not win as they often served as harsh lessons to me and helped me improve. I have ridden through the time of Lance and all the dreadful tragedy that the abuses surrounding him have brought to my sport. I have faced up to the temptations, but have always remained true to the 12 year old inside me. Yes I have suffered as a result, in many ways, but so what, I am not alone, I am one representative of that group, those who do it right. And as I check out, that 12 year old has a basket of tee-shirts; a collection that brings the biggest smile to her face. My time in the sport is finished. I hope I will look on in 10 years time and see a vibrant and healthy women’s road scene. The key to that will be that the female athletes are treated with respect. Just like others in our society and their male counterparts, I hope they have the protection of a minimum wage. In a drawer I keep two sets of medals that remain so dear to me. Alongside the Olympic road race and World Championship road race medals, the first ever pair won in the same year together, a unique first for anyone, male or female. Alongside them, 4 other gold medals. The first ever ones awarded at the first ever British youth Girls track championships. I am just as proud of each of those sets. I really hope I have helped create change. Thank you all for coming here today and listening to my account. I leave the sport and hope that during my time in it I have helped make it a better place. I hope that by bringing a wider understanding to some of the issues that face the sport it will create change so that the 12 year olds dreaming today can have a rewarding future within it. I look forward to the exciting next chapter of my life and I thank you all for your support during the last one.